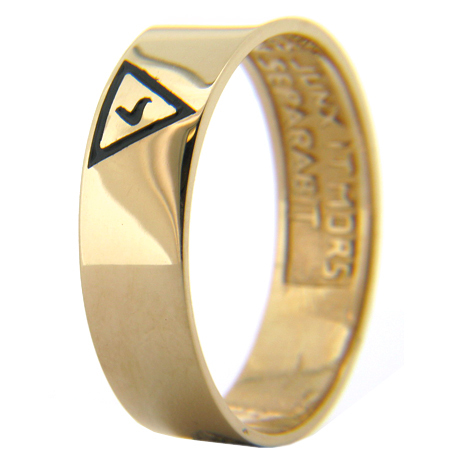 Solid, polished 10k yellow gold Scottish Rite ring is 6mm wide. Item weighs approximately 6 grams. Black enamel Yod logo. Interior engraving: VIRTUS JUNXIT MORS NON SEPARABIT (Latin: Virtue has joined together; death will not separate) This item is handcrafted in the USA.